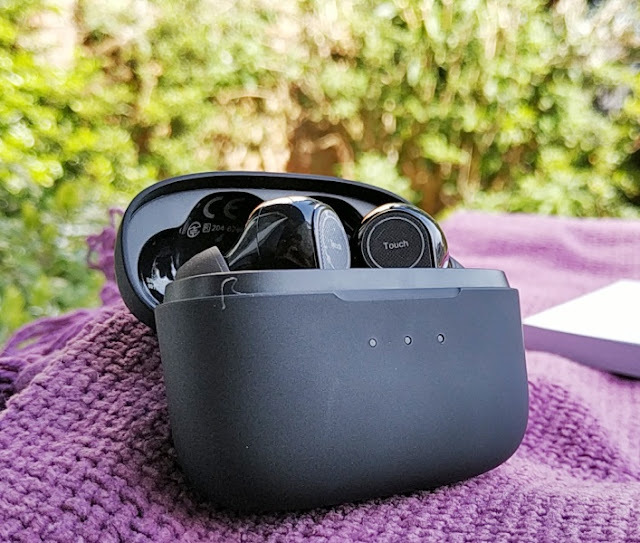 The convenience of a small size, no cables and portability makes totally wireless earphones a sound choice for many people. 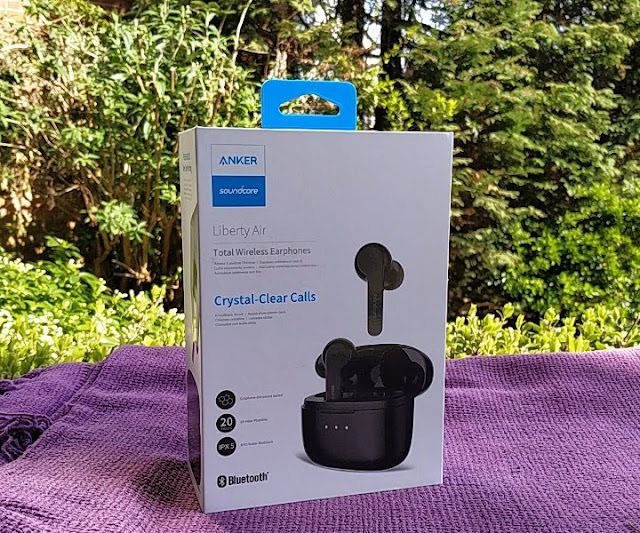 If you are in the market for totally wireless earphones that are discreet and stylish, you will find these with the Anker Soundcore Liberty Air earbuds which have a long stem design reminiscent of a miniature mono bluetooth headset. 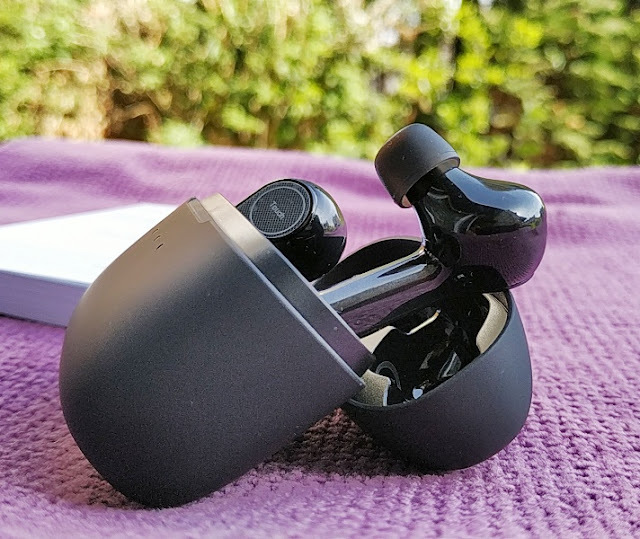 There are no physical buttons on the Liberty Air earphones, favoring instead touch controls which seamlessly compliments the high gloss plastic finish. The lack of physical buttons on the Liberty Air means that there is no tactile feedback as such. 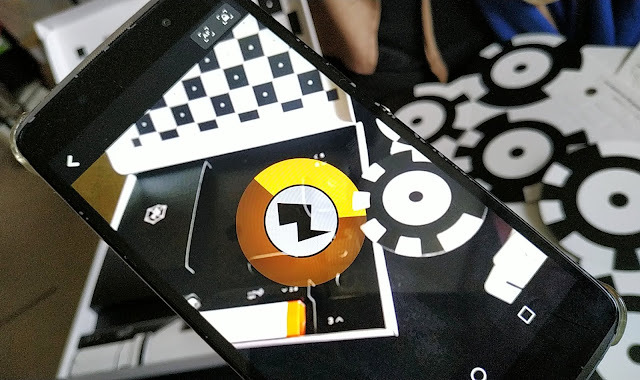 You have to tap to operate the controls and tapping is not as intuitive as pressing a physical button, but the touch control does work as long as your fingerprint isn't too greasy to affect touch sensitivity. The left earbud controls the skipping to the previous track, power on/off and mute. 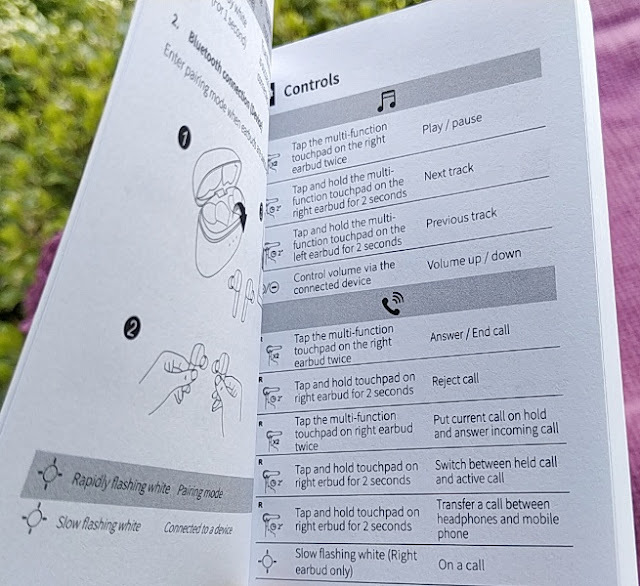 The right earbud controls the skipping to the next track, play/pause, answer call, hang up call and reject call. The tapping patterns aren't complicated but take a bit of time getting used to. 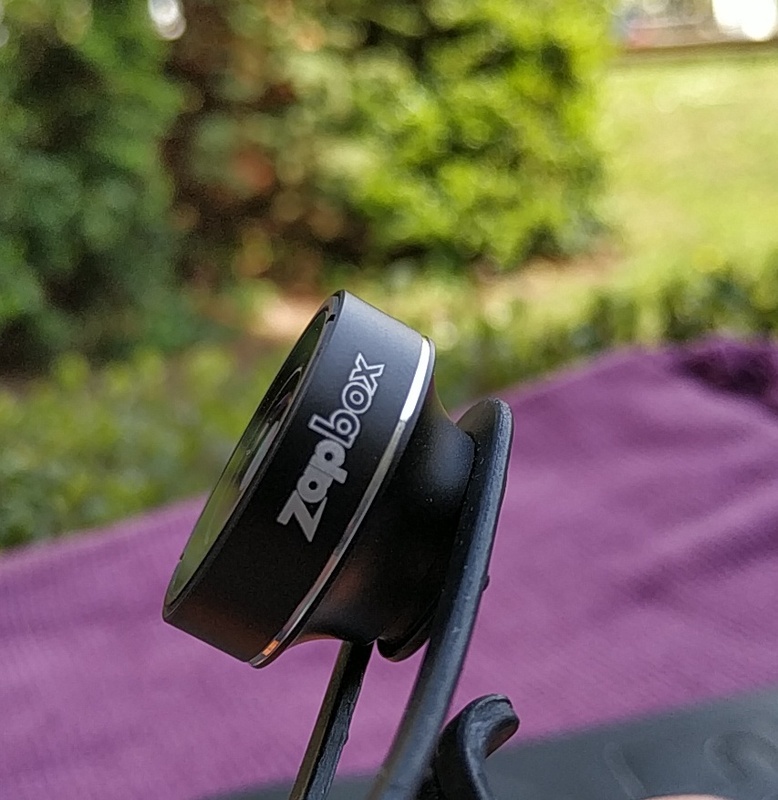 The very bottom of the Liberty Air long stem features one microphone and two pin grooves for making contact with the metal prongs inside the case housing which is magnetized to keep the earbuds securely in place. The Liberty Air charging case weighs 44 grams and measures 6cm long, 4cm wide and 2.5 cm thick. 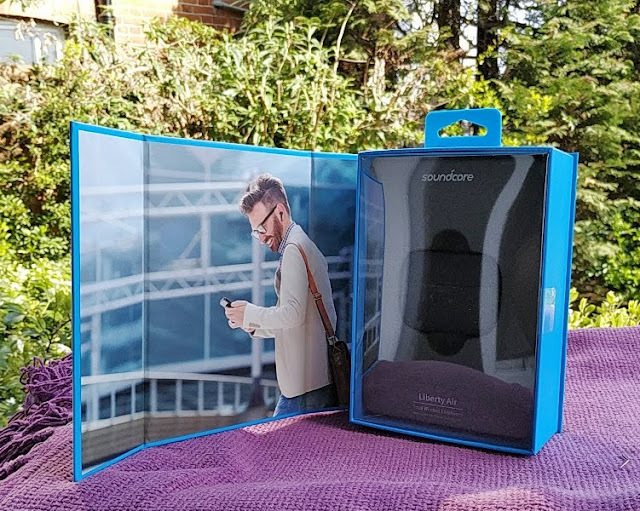 The Soundcore Liberty Air charging case body is made of thermoplastic material so it has the feel of silicone rubber and the durability of hard plastic. The front of the Soundcore Liberty Air charging case features three leds to indicate battery level. 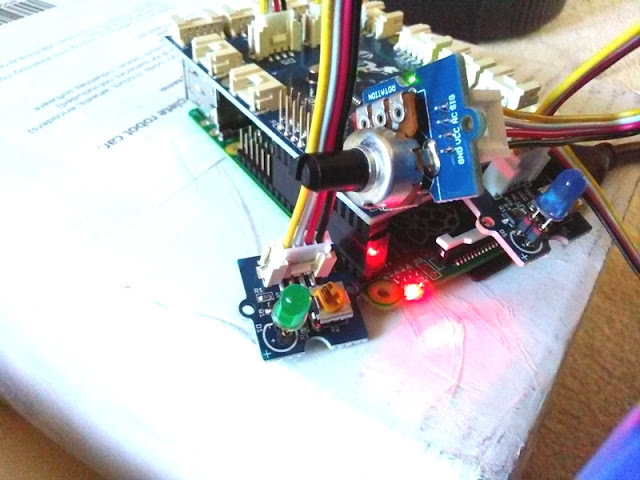 One flashing led means battery is less than 5% and three solid leds means battery level is above 70%. 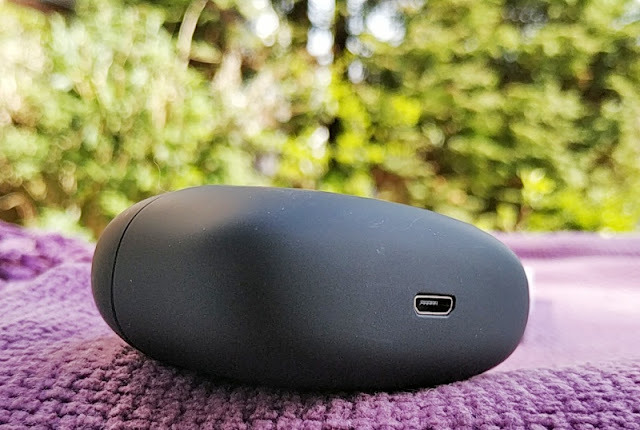 The design of the Liberty Air charging case is ergonomic so it features curved edges although the top of the lid is flat so you can keep the charging case upright on a desk with the micro USB port upside down for charging. 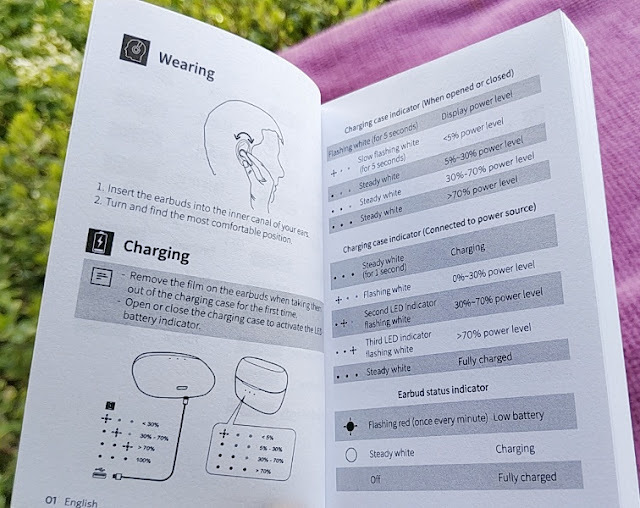 Charging is done via the included 60cm long micro USB cable that you can conveniently hook to a portable power bank. If you need a longer charging cable, there is the PowerLine Plus which is 90 cm long! 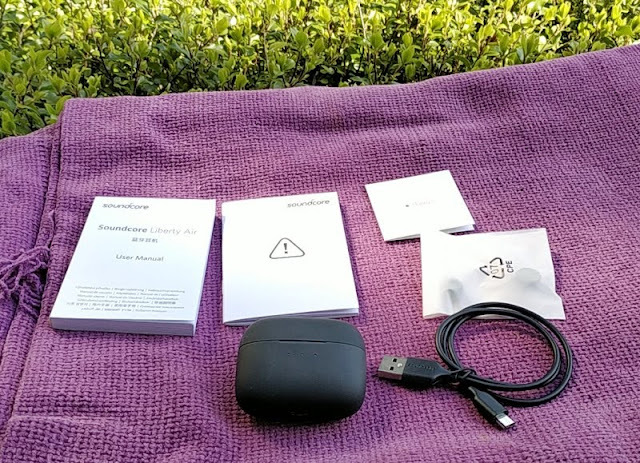 The micro USB port isn't protected with a rubber flap so the Liberty Air charging case doesn't have a waterproof/ dustproof rating although the earbuds are waterproof with an IPX5 rating. 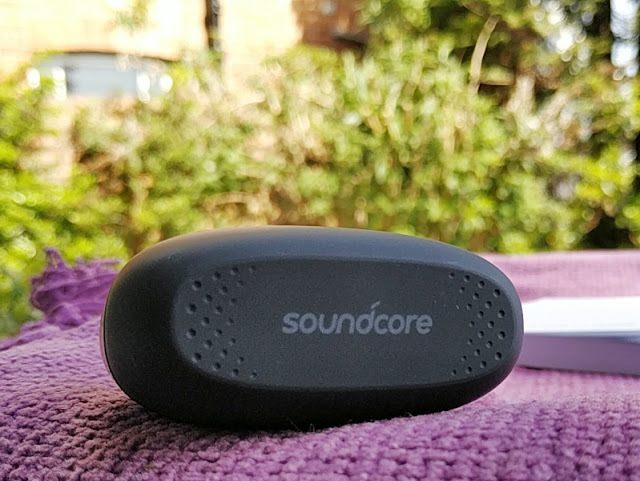 There is also a status led indicator on both Soundcore Liberty Air ear pieces which has a subtle brightness and will either flash red (to indicate low battery life) or show solid white, "breathing" white and steady white (during charging). 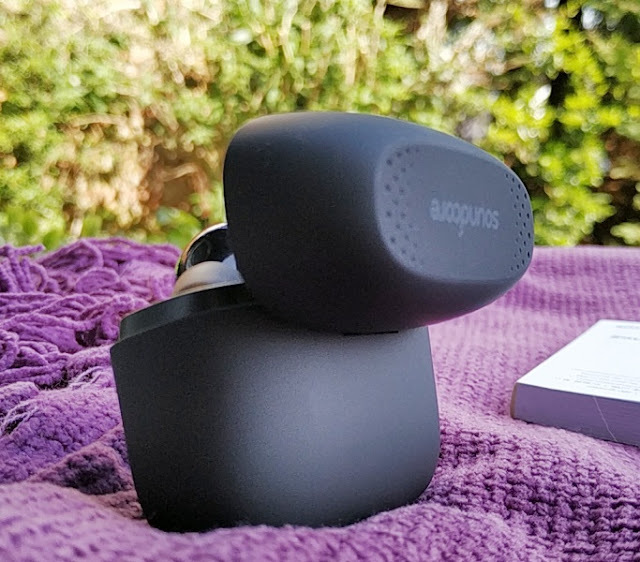 The Liberty Air bluetooth pairing process consists of the right Liberty Air earbud connecting to the device and the left Liberty air earbud connecting to the right earbud automatically. 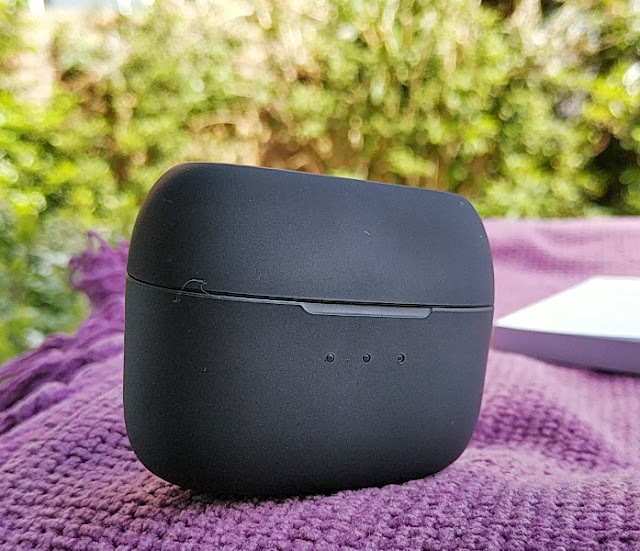 The Liberty Air bluetooth connectivity process is straightforward but doesn't allow both earbuds to be used independently so you can only make calls with the right (master) earbud only. 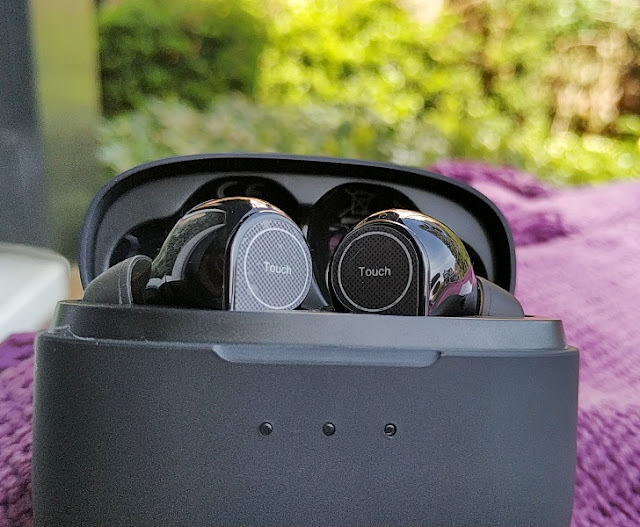 With some true wireless stereo earbuds, both earpieces connect to the phone directly, allowing you to use the earbuds independently from each other as two single mono earbuds. 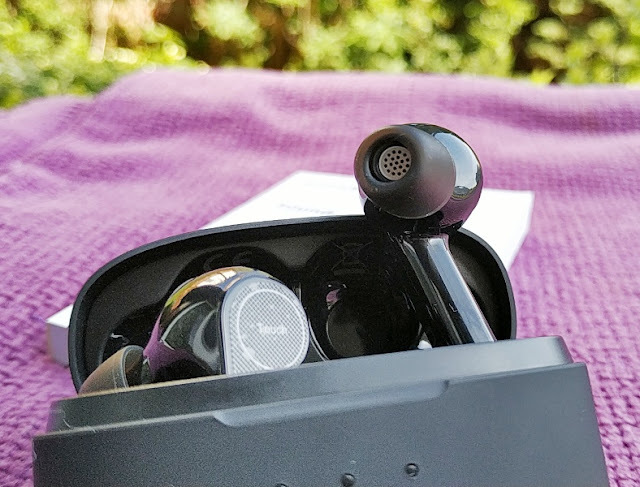 While you cannot use the Liberty Air as two mono earbuds, the audio call does go through both earbuds which amplifies the audio call. 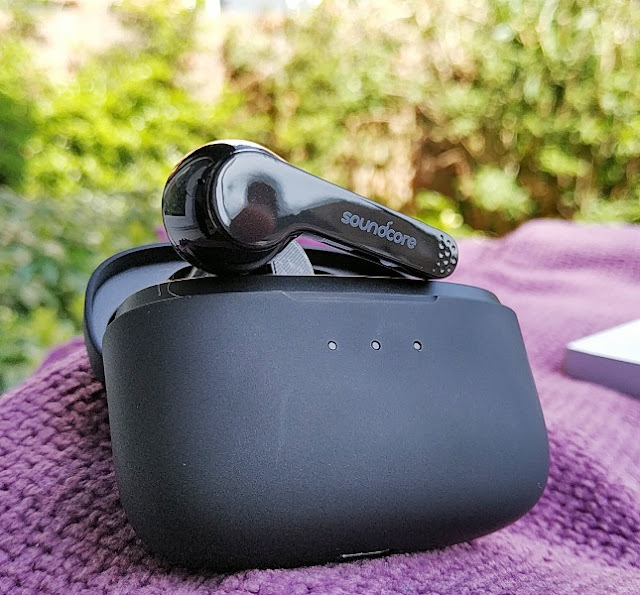 The Soundcore Liberty Air ear pieces are in-ear headphones so they have passive noise isolation as the earphones insert and seal off the ear canal, blocking out background noise passively which makes the listening and calling experience better. 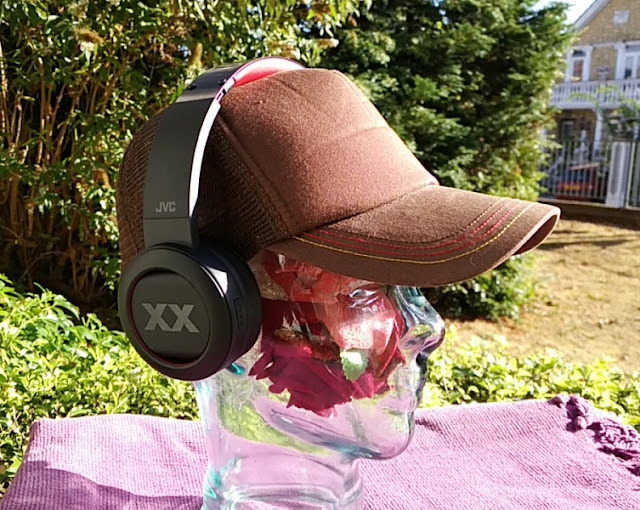 Earbuds that insert in the ear canal also have another advantage over earbuds that sit on the outside of the ear canal and that is more secure fit. 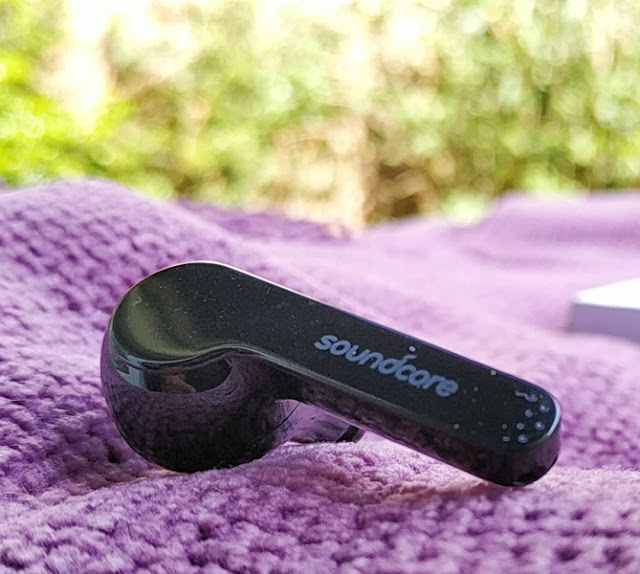 The Soundcore Liberty Air earbuds also have an angled design and weigh just 5.5 grams each which makes their fit comfortable and even more secure so they won't fall out of your ears. 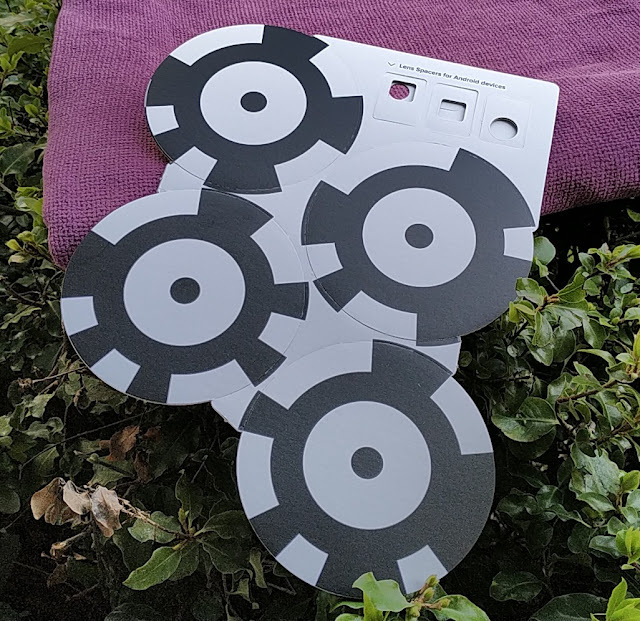 As well as passive noise isolation, there is also what's called, uplink noise reduction, which is a noise filtering technology usually found on Distributed antenna systems (DAS). 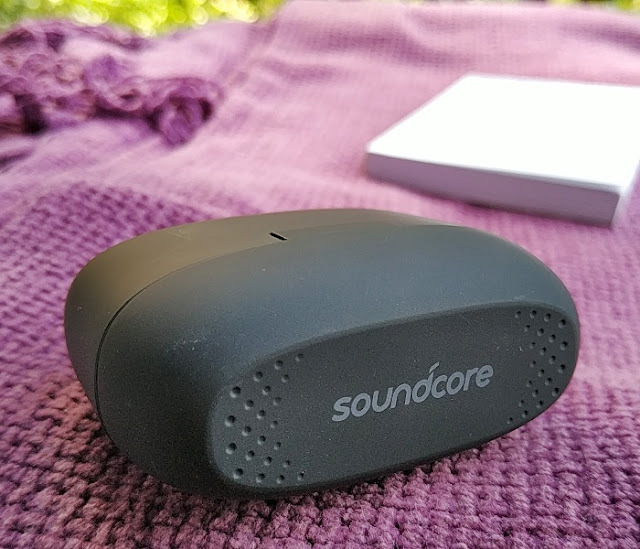 Uplink noise reduction works similarly to Qualcomm CVC technology but instead of suppressing background noise internally by using a noise reduction algorithm, the Soundcore Liberty Air dual microphones filter out background noise via your mobile network while you are on a call. 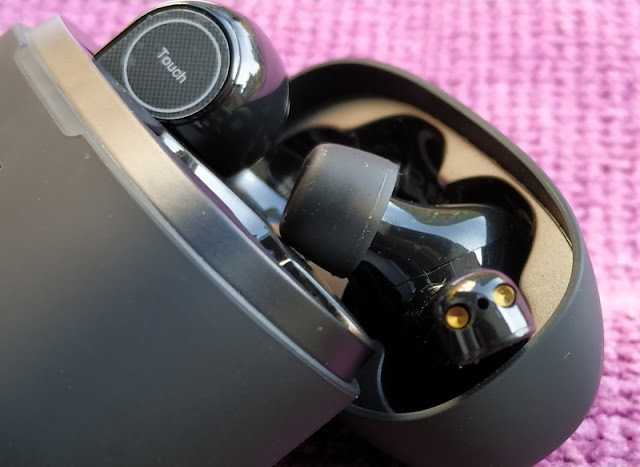 As far as sound, the Soundcore Liberty Air 6mm drivers are coated with graphene, just like the Zolo Liberty earbuds, which has the advantage of being super light, allowing the drivers to be more efficient. 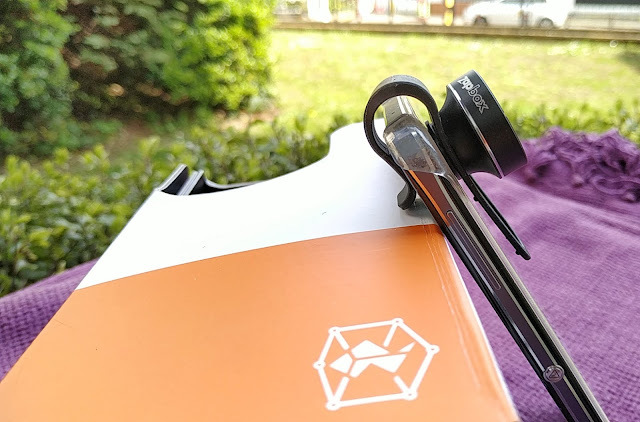 The Liberty Air earbuds produce loud volume and clear flat sound with adequate balance between low and high frequencies although the Liberty Air favor the treble frequencies a little more. 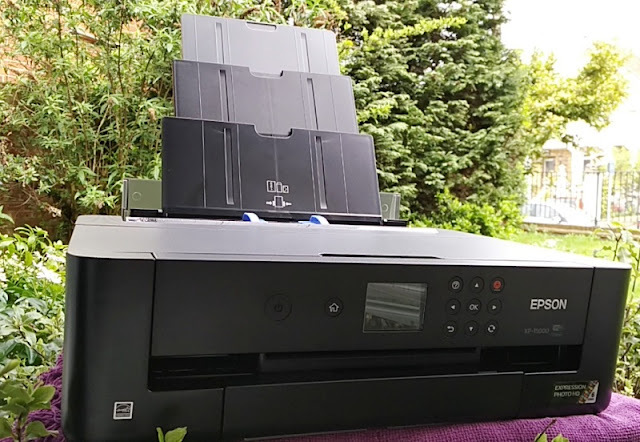 More efficient drivers and faster wireless connectivity (i.e bluetooth 5.0) equals better performance and reduced power consumption. 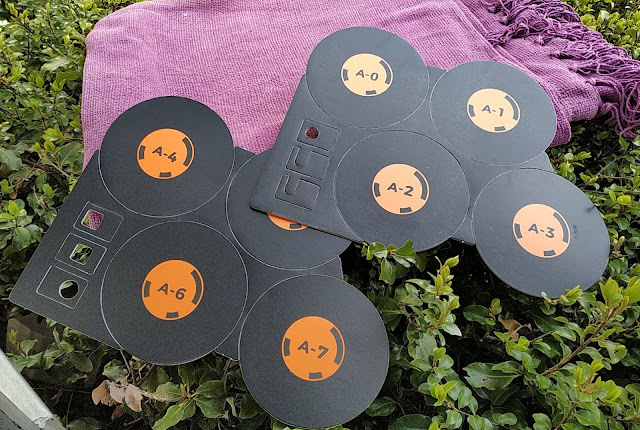 The Liberty Air enjoys all of these advantages giving you between 4.5 and 5 hours of battery life from a single charge and a 12-meter wireless range. 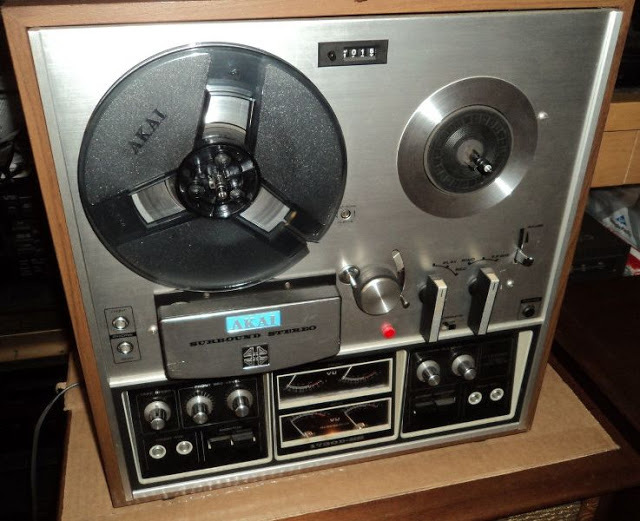 When playing music on medium volume, you get close to 5 hours of playtime but slightly less talk time when talking on the phone. 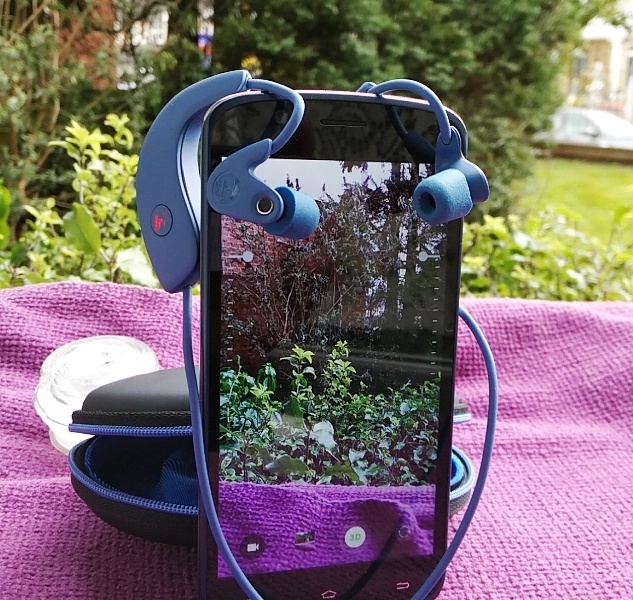 The Liberty Air also feature power saving modes if the earbuds aren't connected to any device (they shut off automatically in 2 minutes) or standby mode when connected to a phone but audio isn't playing. The Soundcore Liberty Air battery life is further extended up to 20 hours via the included charging case which has an internal 500mAh (1.85Wh) rechargeable battery that doubles as a portable power bank. There is no quick charge feature on the Liberty Air but charging time takes a reasonable 2 hours. 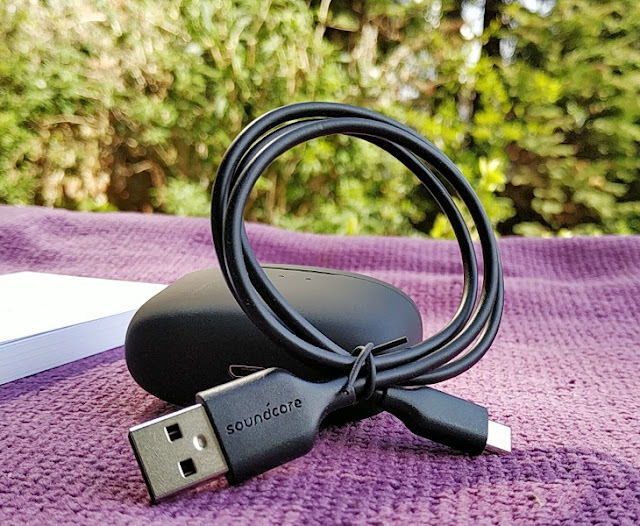 The Soundcore Liberty Air are great all-rounders for listening to music but without aptX low latency and AAC support, you will notice audio lag when watching videos so the audio will be out of sync with the video. 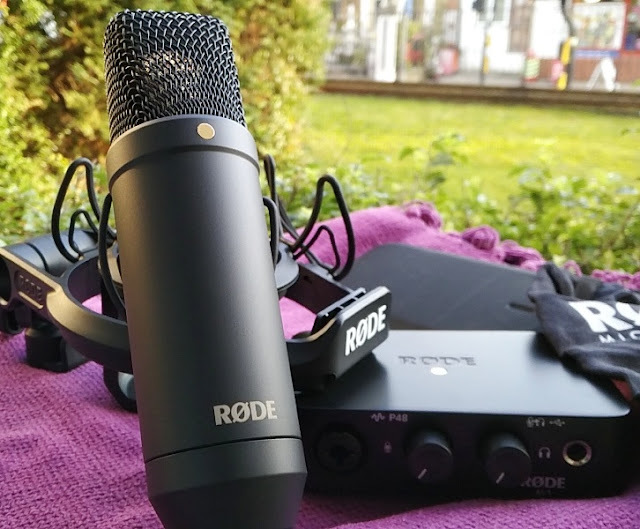 The audio lag isn't very noticeable when watching lossy compressed videos but the lag is more noticeable when watching lossless uncompressed video formats like MP4, MOV or M4V format which is used by iTunes. 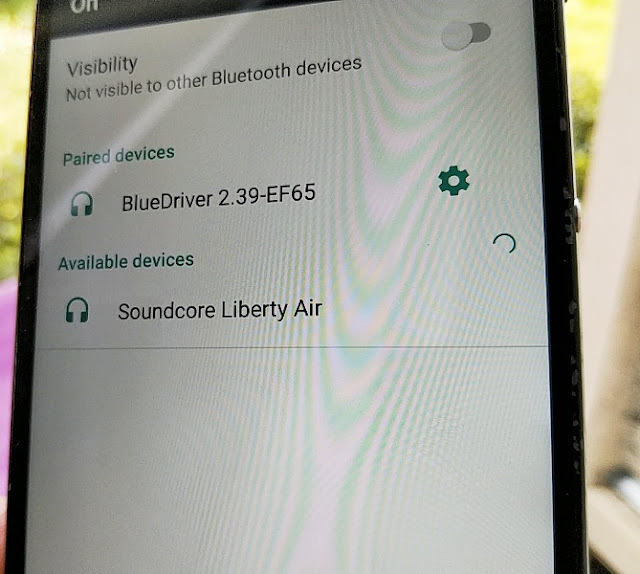 The Soundcore Liberty Air won't work simultaneously connected to two devices so if you want to use the Liberty Air with a second device, you have to turn off bluetooth connection from the first device. 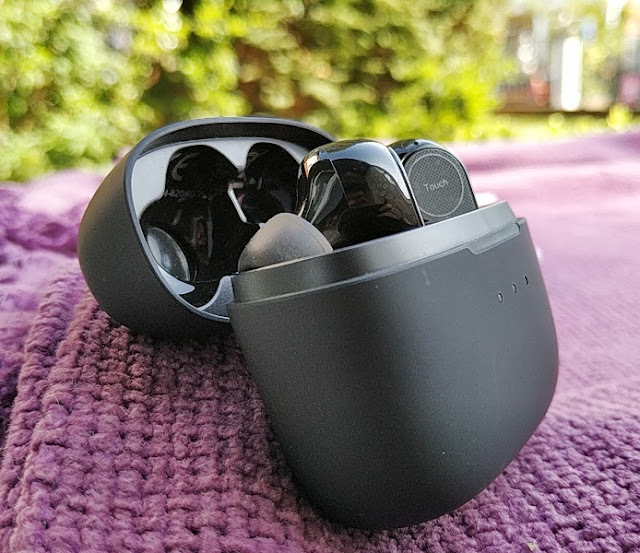 There is automatic pairing though so the Liberty Air earbuds automatically connect to your phone when removing them from the charging case. 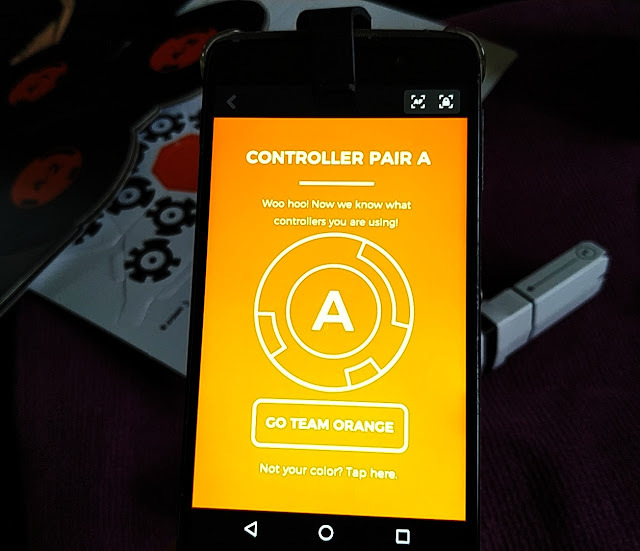 You can pair to both android devices and Apple devices including the Apple Watch and iPhone X. 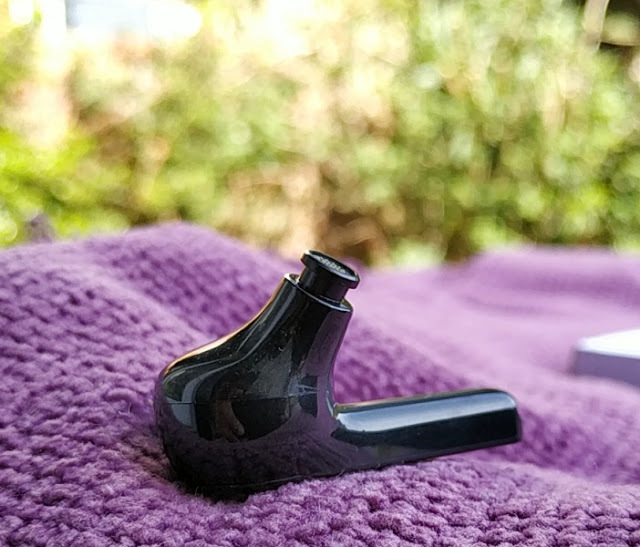 The Liberty Air earbuds come with standard silicone tips and while you can use third party foam tips you won't be able to fit the earbuds back in the charging case. 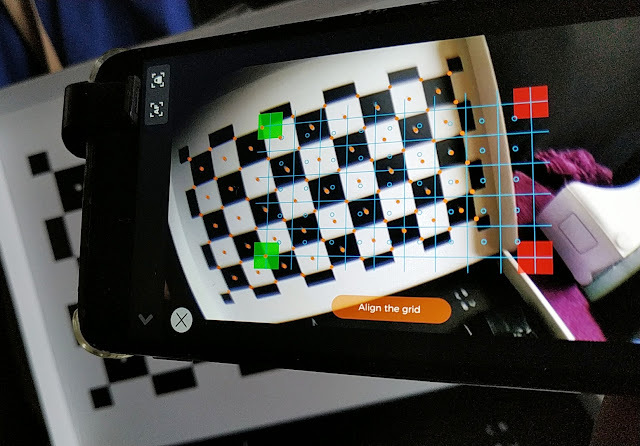 Picture see-through holographic images and 3D computer-generated imagery over real world objects and you have a thing called, mixed reality or MR. Mixed reality is the future of augmented virtual reality and is being spear-headed by the likes of Microsoft HoloLens and Magic Leap. 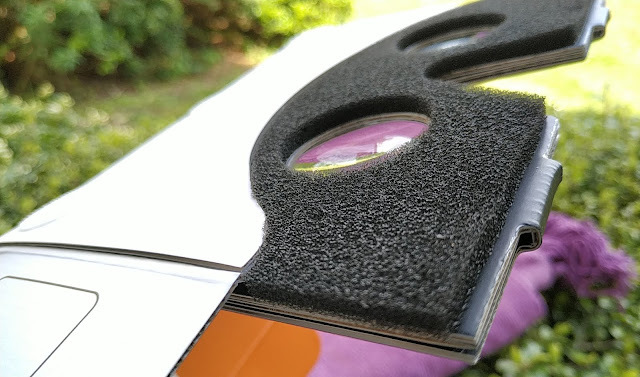 Fortunately though, with ZapBox 2.0 mixed reality cardboard you can get a taste of HoloLens and Magic Leap mixed reality on the cheap! 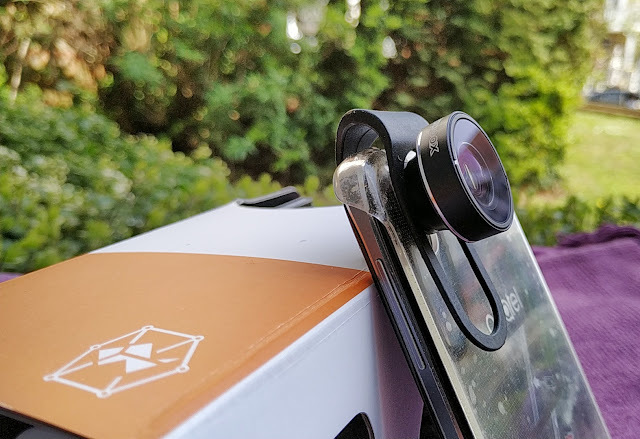 As far as compatibility, the ZapBox 2.0 works with any 720p resolution and higher resolution smartphone but the phone must have a gyroscope built-in to it. 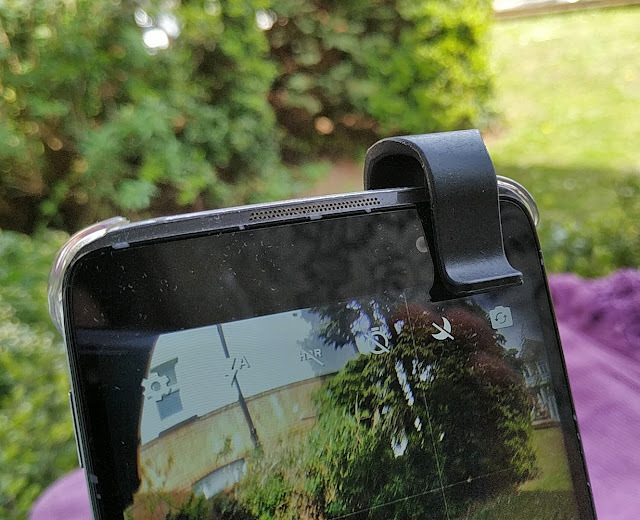 If you are unsure, there are a few ways you can check whether your smartphone has a gyroscope sensor in it. 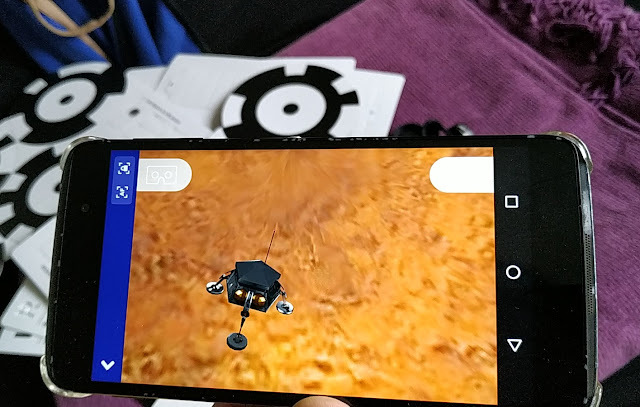 One way to tell is by running the Pokemon Go, Google Cardboard, Cardboard Demos or Google Sky Map mobile apps on your phone as these apps make use of the phone's gyroscope to tell the direction towards which your phone is pointed. 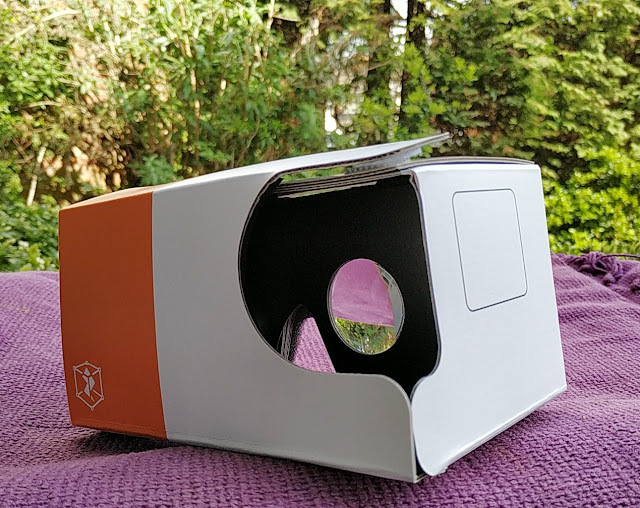 Talking about Google Cardboard, ZapBox 2.0 is also compatible with Google Cardboard mobile apps, as well as ZapBox 1.0 (the original version). 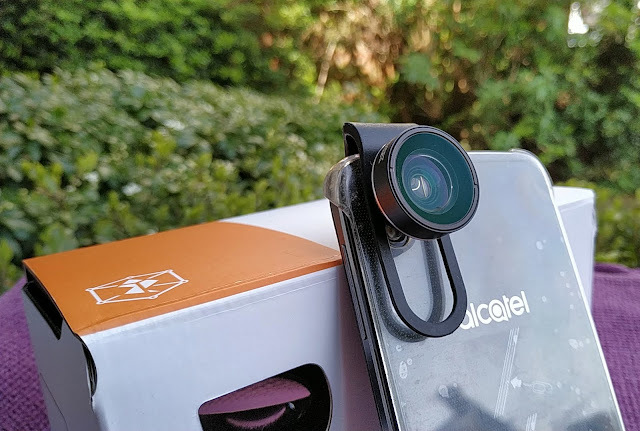 The other way to tell whether your phone has a gyro sensor in it is by playing a 360-degree video in YouTube. 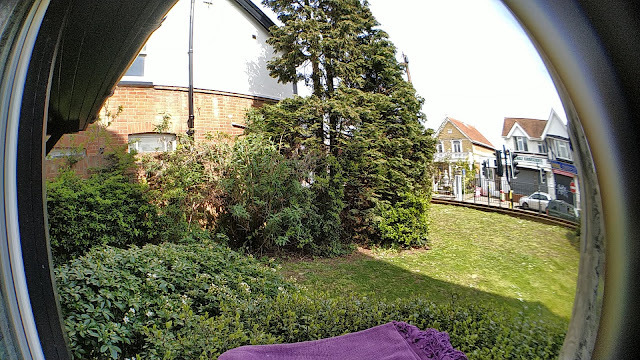 If you can rotate the view in different directions by moving your phone up and down, then your phone has a gyroscope. 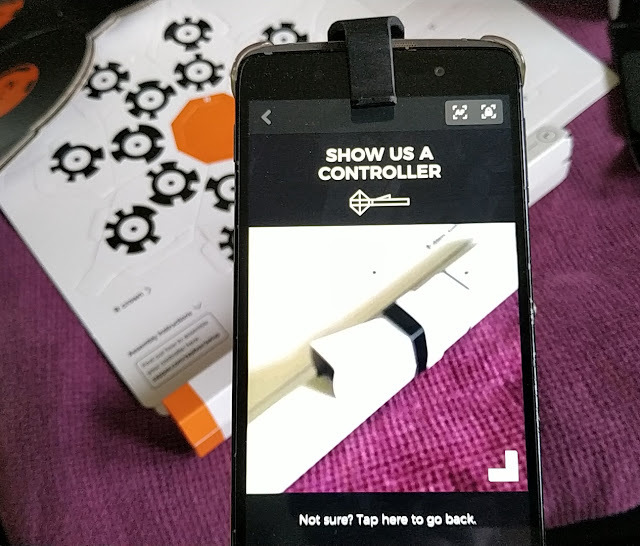 ZapBox 2.0 also works with any screen size smartphone though again, the larger the screen size the better the experience because more content is able to be displayed. 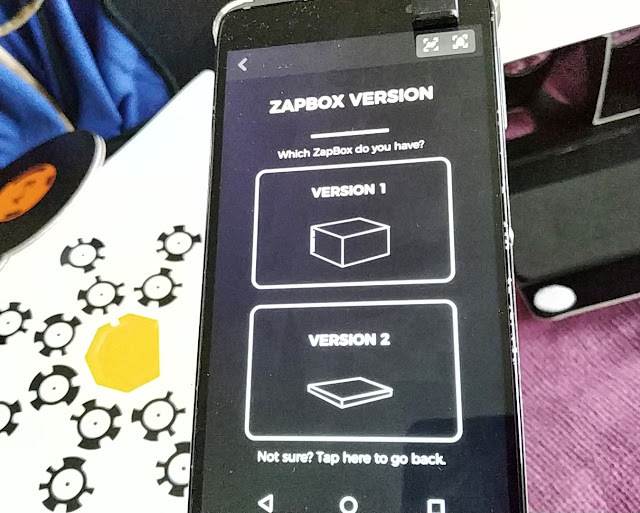 ZapBox 2.0 also supports iPhones but no older than the 4.7-inch Retina HD display iPhone 6 and later iPhone models (including iPhone X) but excluding the iPhone SE. 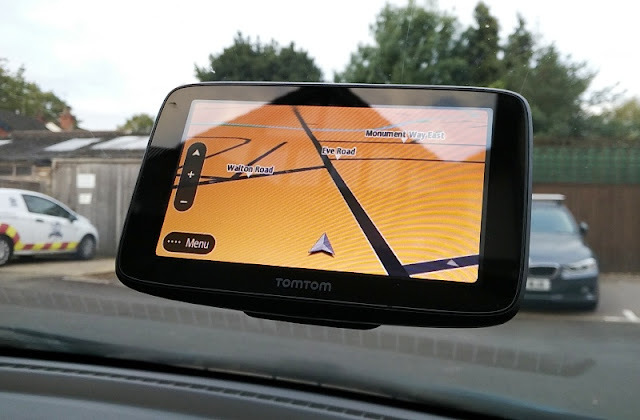 There is full Android compatibility as long as the Android device is running a version of Android operating system no older than Android 4.1. However, it is best to use an Android phone running at least Android 5.0 for a better experience. 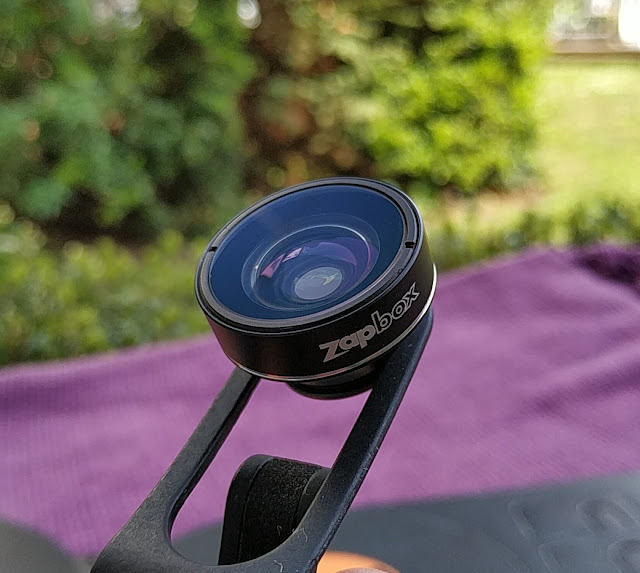 The ZapBox fisheye camera lens optics produce a clear, ultra wide circular field of view (somewhere between 100 to 180 degrees). 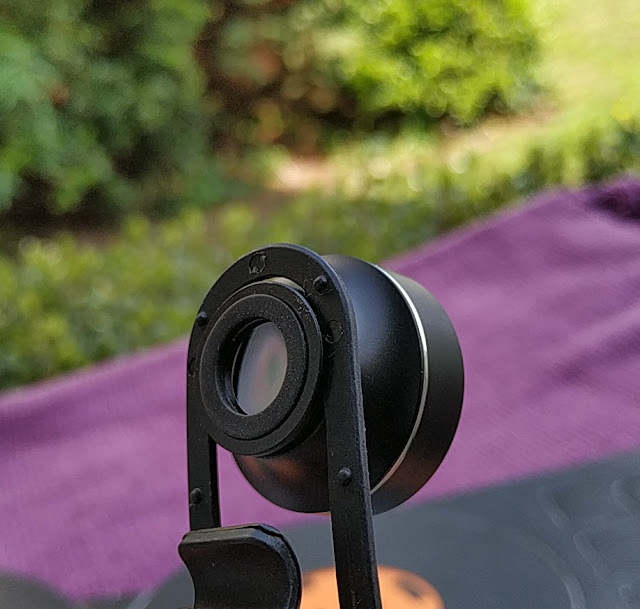 Fisheye lenses are technically wide angle lenses with the main difference being regular wide lenses produce panorama-like field of view. 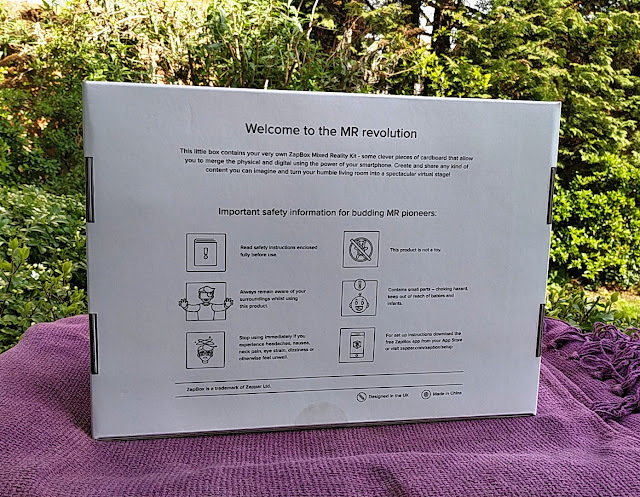 While similar in simplicity to other cardboard virtual reality (VR) headsets, ZapBox 2.0 is more versatile combining elements of both augmented reality (AR) and VR for a mixed reality (MR) experience and without the need of a see-through display. 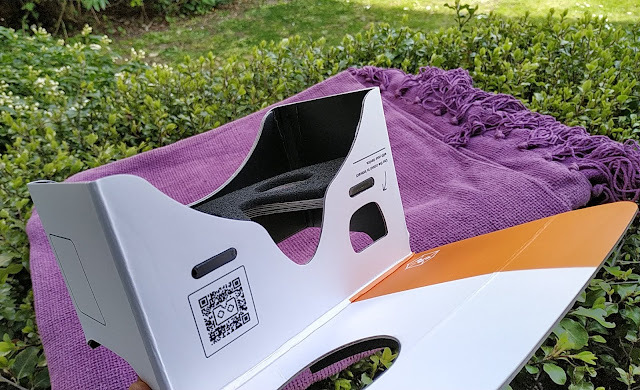 ZapBox 2.0 literary renders a live video feed of the real world you see in the background while rendering the virtual content on top of the live video feed in a similar fashion to The Boy with his head stuck in a book pop-up book and The adventure suit. 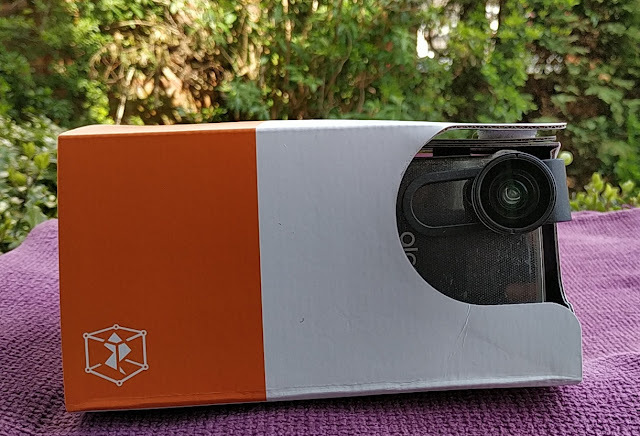 ZapBox 2.0 live video feed is not as natural as a see-through glass screen display but using the live video feed is clever because the real world you see transforms into a virtual world without having completely shut off from the real world like you would with a mobile phone virtual reality headset where you go searching for objects in an unreal environment. 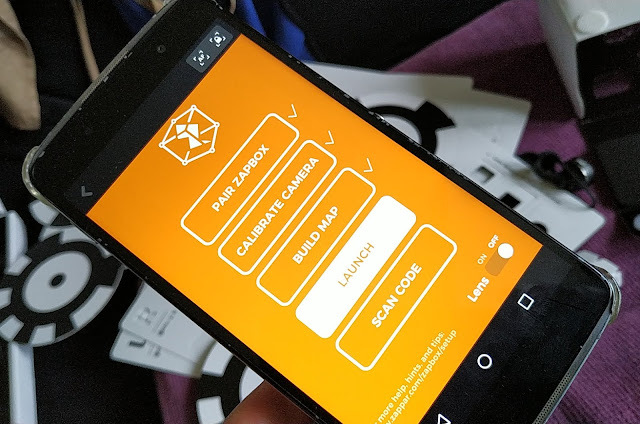 With ZapBox 2.0, objects can actually come to you and appear anchored in a real environment similarly to Pokemon GO where Pokemons show up in the real world when you look through your phone's camera lens. 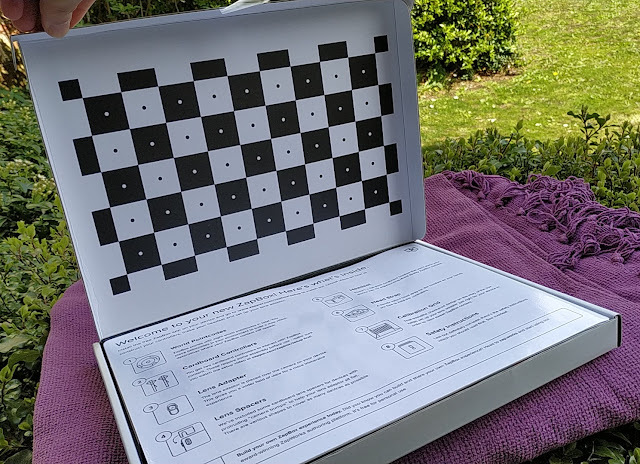 The white/black checkered grid on the inner packaging box lid helps you calibrate your phone. You have to make sure the blue grid and dots are aligned to successfully complete the calibration. 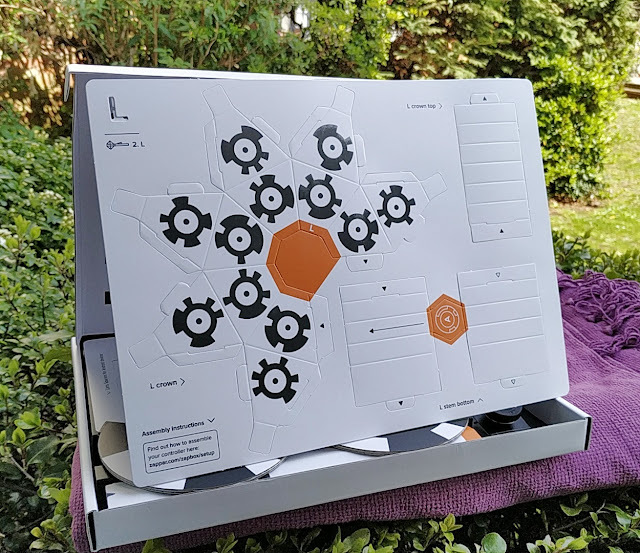 ZapBox 2.0 alignment process is straightforward but maybe somewhat daunting for some users as there are five different alignment screens to go through and some screens can take a few tries to get the calibration correct. 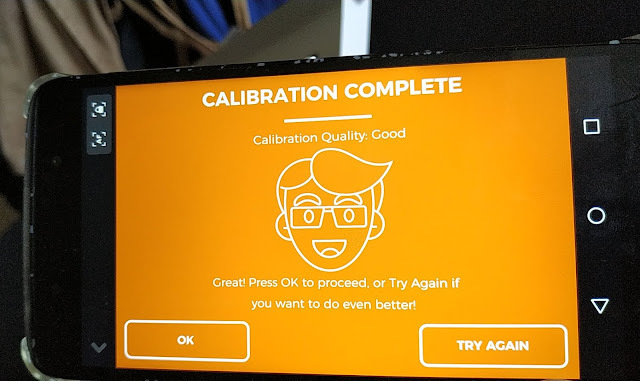 Calibration is needed whether you use the included fisheye lens adapter or not as you cannot proceed to "build map" and launch stages. Before you can start using ZapBox 2.0 with the ZapBox mobile app the camera lens has to be calibrated with your phone. 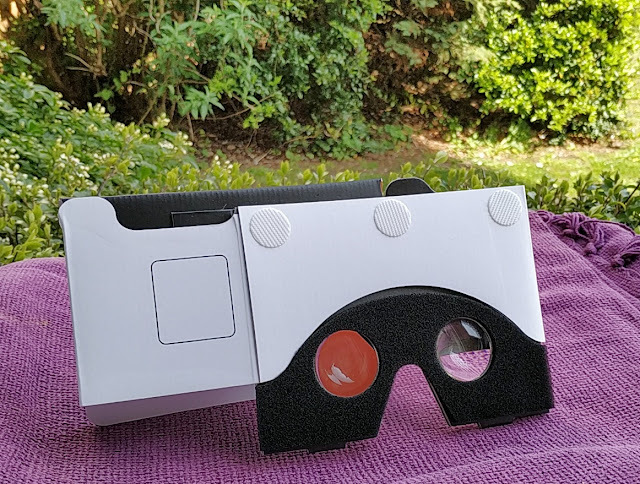 ZapBox 2.0 is overall a more refined experience than the Google Cardboard virtual reality experience because ZapBox 2.0 integrates stereo view 3D tracking and fully interactive handheld controllers that you can use to track and suspend objects in the real 3D world (x/y/z) space. 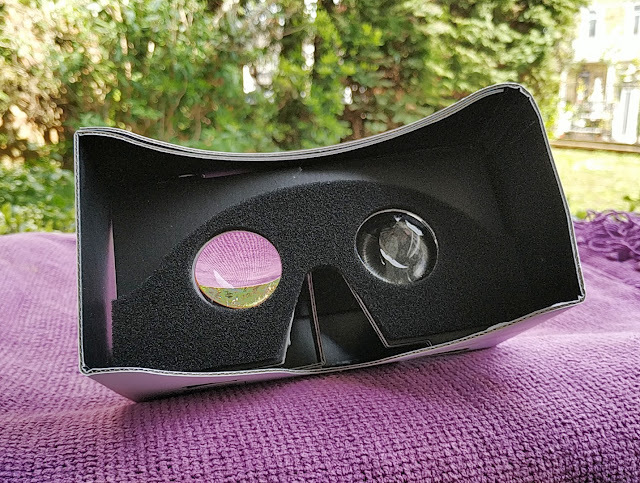 Compared to other VR cardboard headsets, the ZapBox 2.0 cardboard viewer is similar in design but with a cut-out opening for the included clip-on fisheye lens which produces a larger and immersive, augmented field of view. 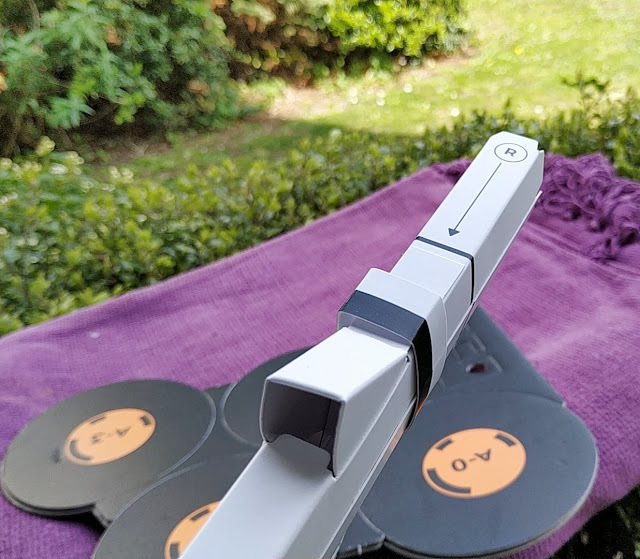 Latency isn't an issue with ZapBox 2.0 and although you can experience a bit of lag the transition is pretty smooth without being jumpy.Ultimately, how much or how little latency you experience during the ZapBox 2.0 mixed reality experience depends on the hardware/software of your phone (i.e. 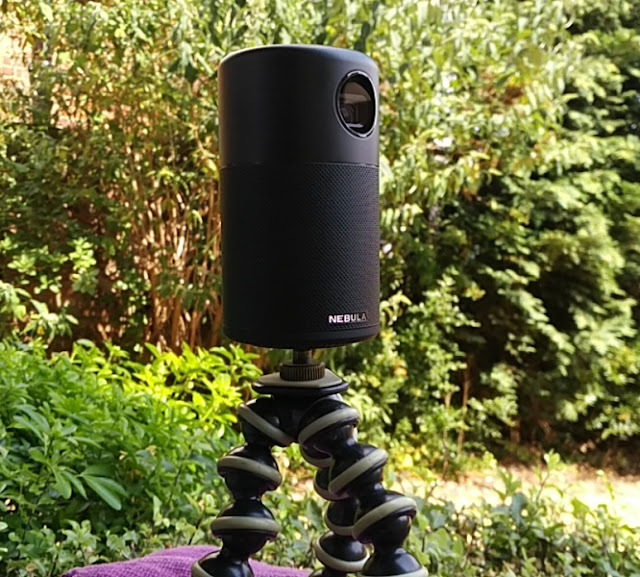 fast camera sensor). 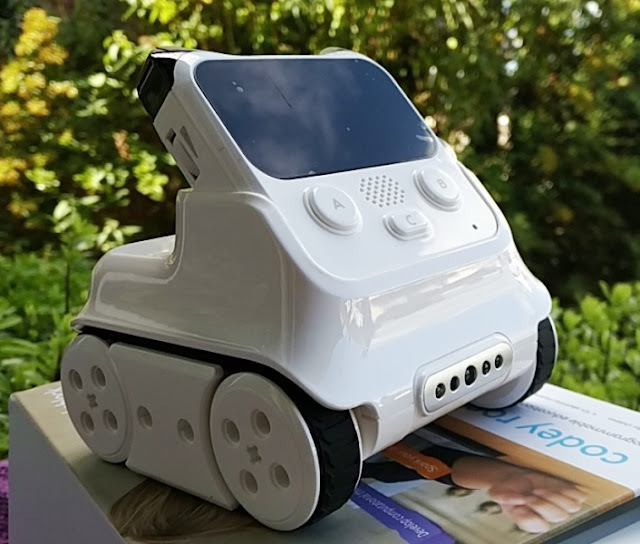 ZapBox 2.0 other half of the equation is the mobile application software that makes the magic of ZapBox 2.0 mixed reality possible. 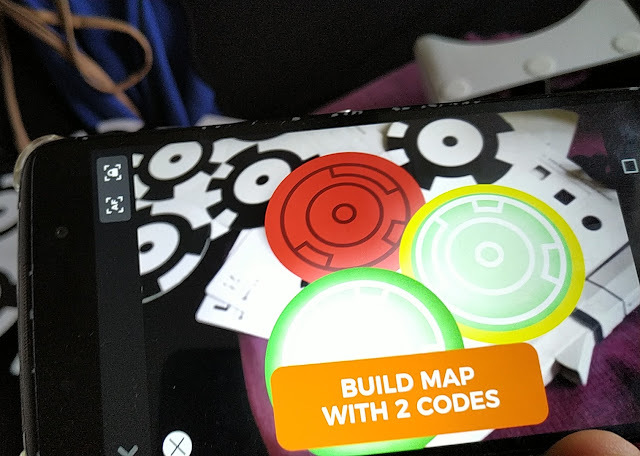 The ZapBox mobile app lets you build maps as well as calibrate both with and without the ZapBox fish-eye lens. 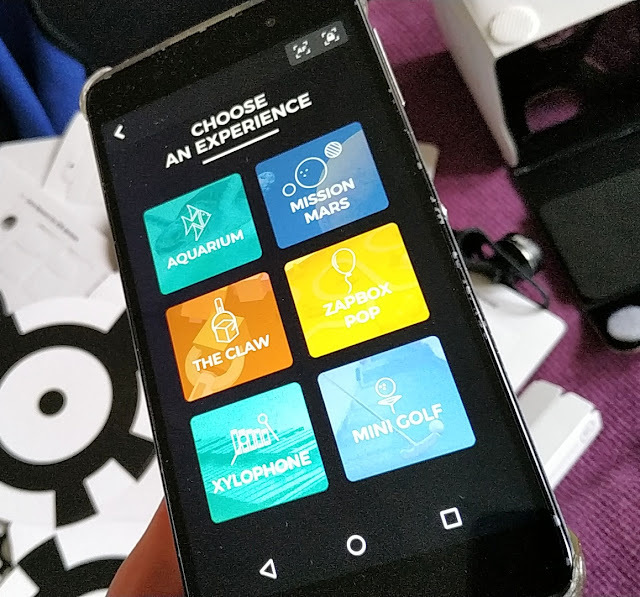 The ZapBox mobile app features six experiences to choose from including aquarium, mission mars, the claw, ZapBox pop, xylophone and mini golf. 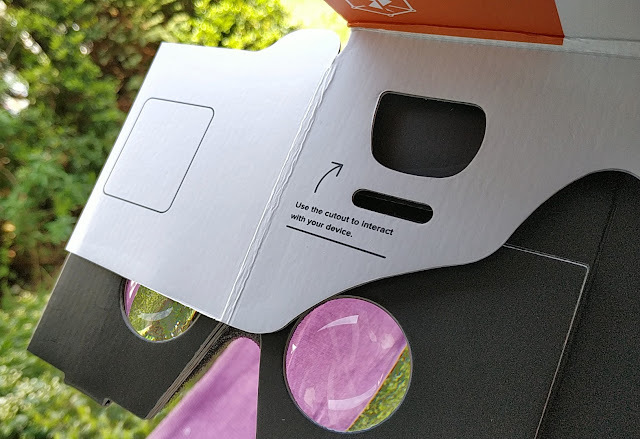 Inside ZapBox 2.0 box, you get a headset cardboard, a sticky head strap, a ZapBox fish-eye lens, eight world pointcodes and two controllers with trigger mechanism. ZapBox 2.0 outer packaging box is 3cm thick (32.5cm long and 23.5cm wide), meaning ZapBox 2.0 contents come flat-packed like Ikea furniture. 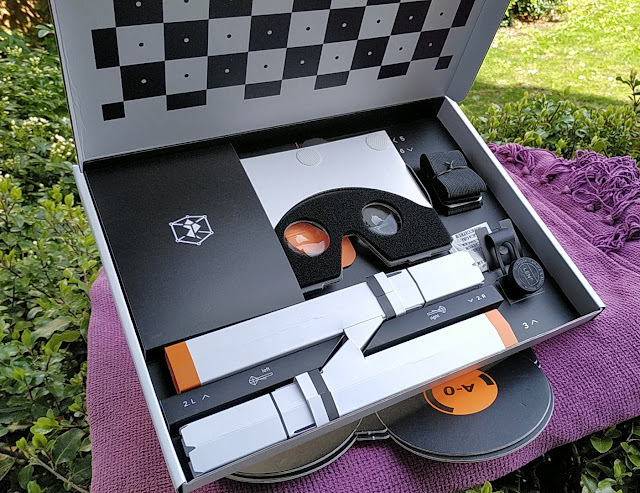 Luckily, there is minimal assembly other than constructing the controllers which doesn't require glue as parts come pre-assembled so all you need to do is fold them into place. 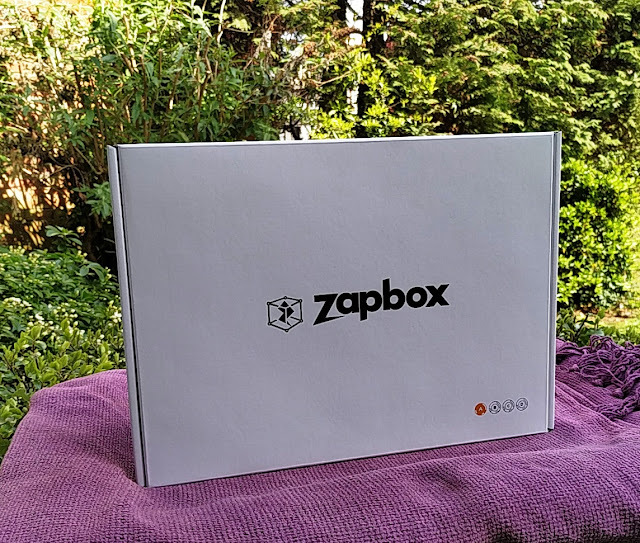 The whole setup of ZapBox 2.0 is very intuitive though a user guide is also included.